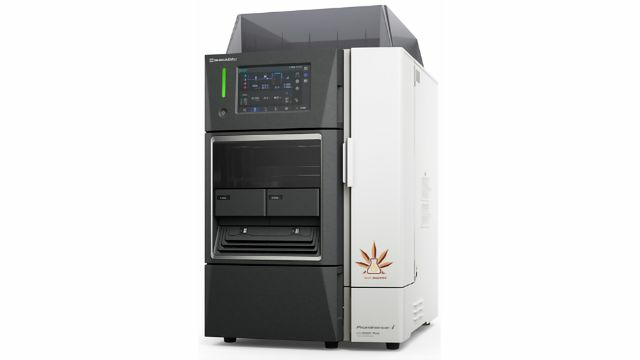 Shimadzu Scientific Instruments (SSI) has announced the release of its new Hemp Analyzer. This high-performance liquid chromatograph (HPLC) is a complete turnkey analyzer for quantitative determination of cannabidiol (CBD) and cannabinoid content. The Hemp Analyzer is a comprehensive package that includes all required hardware, software, consumables, and analysis workflow to enable the operator to run samples in the shortest possible time. After one day of installation and testing, users are equipped with everything they need to obtain quantitative hemp results. Operators save valuable lab time because they don’t have to develop quantitative testing methods. The three included method packages address high sample throughput, enhanced sensitivity, and high resolution. The High Throughput method is designed for analysis of CBD and 9 other commonly requested cannabinoids in under 8 minutes. The High Sensitivity method includes THCV in the target analyte list, with an instrument cycle time of under 10 minutes. The short analysis time produces the sharpest chromatographic peaks for the best overall sensitivity. The High-Resolution method presents full baseline resolution for all 11 compounds and analysis time under 30 minutes. 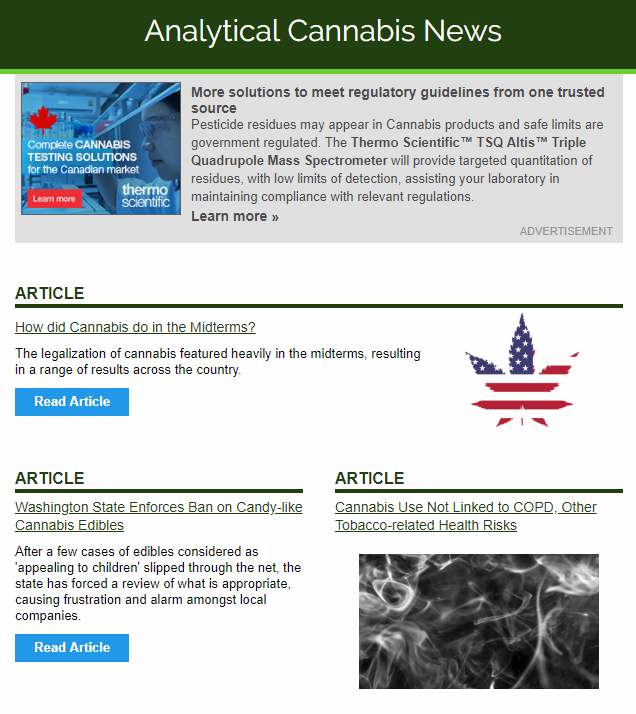 This method is preferred for research purposes, or when additional compounds must be added to the analysis in response to new state regulatory requirements. Custom hemp analyzer software simplifies the workflow by providing a user-friendly analysis screen for sample sets, a monitor screen for analysis and easy access to quantitative reports. The Hemp Analyzer is designed for maximum uptime, is economical to own and comes with a three-year warranty and preventive maintenance plan. This article has been republished from materials provided by Shimadzu Scientific Instruments. Note: material may have been edited for length and content. For further information, please contact the cited source. To Test the Munchies, Researchers Offer a Choice: Chips or an Orange?